China’s 20th century history can be condensed to one word: revolution. In its search for sovereignty, wealth and power in a modern world, China has negotiated a turbulent course through monarchy and free markets, republicanism and bureaucratic capitalism, communism and planned economy, and now Socialism with “Chinese characteristics.” Constant upheaval over the last century has ravaged nearly every aspect of the nation’s political, social and economic systems, and forged entirely new structures. “Revolution in China” will explore the varied factors which have shaped those structures and directed the nation’s modern revolutionary history. Through analysis of historical and literary texts, this course will provide students insight into the critical processes influencing the recent history and contemporary designs of this emerging super power. 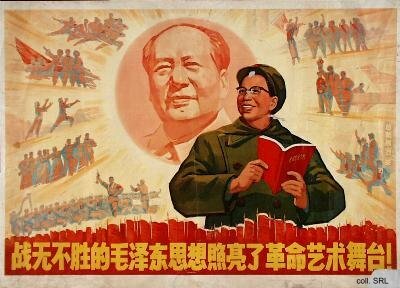 To develop a critical perspective on the historical development of revolution in modern China. To introduce major literary, political and social figures and their works, which precipitated and sustained modern revolutionary movements. To acquire greater knowledge of major political themes, economic trends, and social developments in modern China, and to integrate this information in rational discussion and analysis from a Chinese perspective. Masterpieces of Modern Chinese Fiction, 1919-1949. Several short response papers to weekly readings. Each student will be required to lead several discussions during class. In order to adequately prepare for weekly discussions, assigned readings must be completed prior to class. The amount of reading required for this course is substantial and relatively difficult. Unfamiliar Asian names require extra time to memorize correct pronunciation and spelling. Be careful not to fall behind. Regular attendance and active participation in class discussion are required. Mary Backus Rankin, "State and Society in Early Republican Politics, 1912-18"
China Quarterly, No. 150 (June, 1997): 260-281. Vera Schwarcz, "A Curse on the Great Wall: The Problem of Enlightenment in Modern China"
Theory and Society, Vol. 13. 3 (May, 1984): 455-470. Lu Xun, "Madman" and "New Year's Sacrifice"
during the War of Resistance, 1937-1945" China Quarterly, 118 (June, 1989): 300-323. Liang Pin, from Keep the Red Flags Flying (Hsu, 304-13). Carl Dorris, "Peasant Mobilization in North China and the Origins of Yenan Communism"
China Quarterly, 68 (Dec., 1976): 697-719. Cyril Birch, "Fiction of the Yenan Period" China Quarterly, 4 (Oct. - Dec., 1960): 1-11. Chun Ching, from Dawn on the River (Hsu, 112-24). C. W. Shih, "Co-operatives and Communes in Chinese Communist Fiction"
China Quarterly, 13 (Jan. - Mar., 1963): 195-211. William A. Joseph, "A Tragedy of Good Intentions: Post-Mao Views of the Great Leap Forward"
Modern China, 12. 4 (Oct., 1986): 419-457. Grasso, Chapter 9 (pp 211-33). Philip Bridgham, "Mao's Cultural Revolution in 1967: The Struggle to Seize Power"
China Quarterly, 34 (Apr. - Jun., 1968): 6-37. Zheng Yi, "Maple" (Link, Stubborn Weeds, 57-73). Anne F. Thurston, "Victims of China's Cultural Revolution: The Invisible Wounds: Part I"
Pacific Affairs, 57. 4 (Winter, 1984-1985): 599-620. Justin Yifu Lin, "Rural Reforms and Agricultural Growth in China"
The American Economic Review, 82.1 (March, 1992): 34-51. Richard Baum, "China in 1985: The Greening of the Revolution"
Asian Survey, 26.1 (Jan., 1986): 30-53. Xiao Yi, "The Little Egg Girl" (Link, Stubborn Weeks, 161-70). Monday (4/5): Deng's Suppression of the Democratic "Revolution"
Opposition Movements,Wall Poster Campaigns, and Underground Journals"
Asian Survey, 21.7 (July, 1981): 747-74. Tianjian Shi, "The Democratic Movement in China in 1989: Dynamics and Failure"
Asian Survey, 30.12 (Dec., 1990): 1186-1205.
by Jiang Zemin" Asian Survey, 38.3 (March, 1998): 231-264. Daniel Wright, "One in Fifty Million: Riding the Rails with China's Migrant Labor"
Monday 4/26): Whither the Revolution?